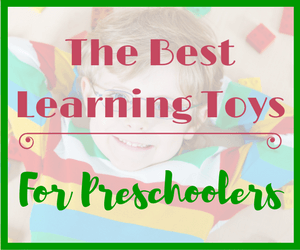 Seeme & Liz > Learning Toys (0-2 year olds) > 10 Best Wooden Blocks For Kids: Open Ended Learning Starts Here! 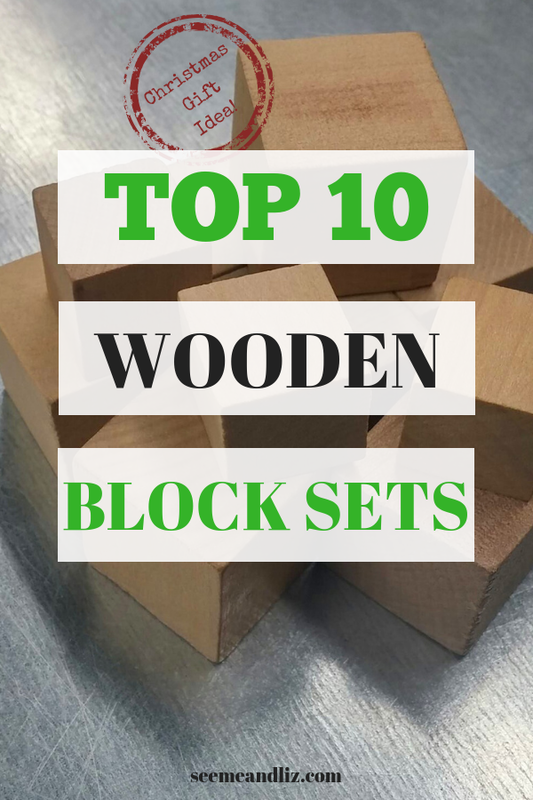 Since there are so many types of blocks available I have narrowed this article down to the 10 Best Wooden Block sets for kids. Blocks are great toys for open ended learning. A child can play for hours with blocks and the outcome is never quite the same. Do you want to know how blocks can help with specific areas in language development? Click here! This 15 block set is handcrafted in Germany from Linden trees and inspired by Waldorf education to encourage open-ended play! No two sets will be alike. You also won’t find any sharp edges as each block is carved by hand and has been carefully inspected. Toddlers and preschoolers will love this set, trying to figure out how to get them to balance, thus teaching cause and effect. The organic shapes can lead to even more creative thinking, especially as children get older! These are not just ordinary colored blocks. These blocks come in a variety of shapes and are translucent. I love that children can discover color mixing with these blocks. They can be played with on a windowsill to really make the colors pop! Or take them outside on a sunny day and explore the colorful shadows that they will cast. Don’t forget, you can also build with them and learn all about colors! I love the Guidecraft Junior Rainbow Block Set. It comes in a 20 or 40 piece set. These aren’t technically blocks, but they are wooden and perfect for building and getting creative! Your child can build sculptures from a moving windmill to a skyscraper. This set is not recommended for children under the age of 3 due to small pieces that can cause a choking hazard. Children are naturally drawn to mirrors. They love seeing their reflection. As your child gets older, she can use these kinds of blocks to experiment with light reflection as well. And they can also be stacked and used in a similar way to regular blocks. Guidecraft has a wonderful mirror block set, however there are only 10 blocks in the set, so you might want more than one set. Alternatively, you can incorporate these with other wooden blocks you might have around the house. I remember having blocks just like these when I was a kid. You can build just about anything with these kinds of blocks. I am a fan of the Melissa and Doug 100 piece wood block set. You really can’t beat the price (about $15 US). They are the ones in the picture below! These blocks are relatively large so they are great for building. You will often find these blocks in schools and daycare centers. They are similar to the traditional wooden blocks I mentioned above, just on a larger scale. Children can incorporate so many other toys into the play with these blocks. Plank blocks are like Jenga blocks. They are all identical. As a result your child can come up with some very complex and intricate structures and designs. You can also incorporate blocks from other sets. Or you could try building an domino run to knock down! A great plank set to get started with is the KEVA Structures 200. If you think your child might like building his own marble run, be sure to take a look at the KEVA Contraptions Plank Set. Hollow blocks are exactly what they sound like. Blocks that are hollow. These blocks, much like the standard unit blocks, are often found in school/daycare settings. However, there is no reason why these cannot be found in your home. My son loves these blocks to make car ramps and tall buildings that his stuffies and other “guys” can jump off of. My children have also used them as furniture pieces for their dolls. These blocks are designed to make buildings and bring out the architect in your child. The set pictured below if from Melissa & Doug and comes with 44 pieces. 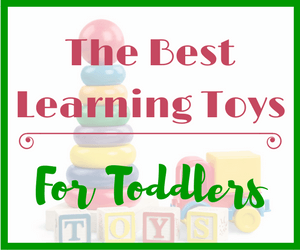 While the recommended age is 3+, children over the age of 5 will most likely enjoy these best! The amount of buildings that can be assembled with this set is virtually endless. Your child’s imagination can run wild! These blocks are one of a kind! Their unique design lets creative minds build unique structures by stacking, attaching and inserting blocks within one and other. These blocks are made of high quality natural rubber wood and colored with a water based paint. I think I have covered the best wooden blocks for kids. If you have some that I have not mentioned please let me know! I live in the south of Spain and here the general life is on the streets till late at night. Small children, especially during the summer, are up till after midnight. Soon it will be 3 Kings, that being the time where children get their presents. A lot of them will get computer-related toys and gadgets, I wonder how many will get an honest, down to earth gift made of wood. Wow, that is really late for a young child to be up. Especially on a regular basis. 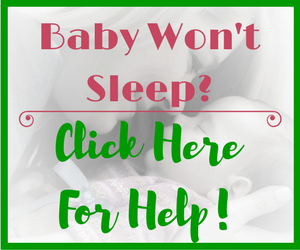 Sleep is so important for a child’s development. Just as important as eating healthy and staying active. It sounds like Spain is much like North America when it comes to tech toys and gadgets for kids. 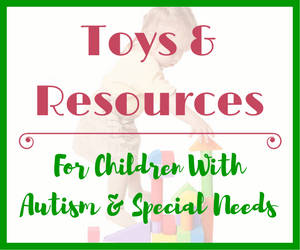 Young children learn best while playing with more traditional toys that do not require batteries for optimal functioning. Reading your nice post took me back to the time when I was a small girl, I am 67 now. I had a wooden truck loaded with colored blocks, I still have it. I used to be quite content building imaginary constructions, I was always very creative. Later on, I went to drawing, painting, music etc I grew up without a TV, my Mother used to read to me and my parents would take me to museums, concerts and on nature trips. Now I know I had a blessed childhood.I am pleasantly surprised to see all the different wooden block games one can buy nowadays, nice in this digital world to see something “Old Fashioned “. It sounds like you had a wonderful childhood Taetske! 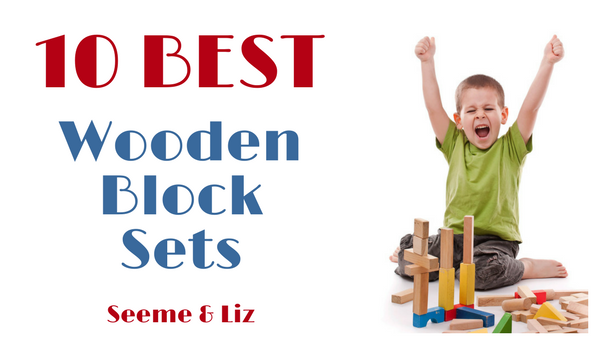 Blocks are a must have for all children for the many reasons you stated! Well, what a great selection of blocks for your children. I have not seen many of those before. I love the first set of blocks that you recommend, the blocks from Germany. I can see how kids can have a endless fun with these! Melissa and Doug is also one of my favorite brands of anything. And these blocks are great. The price is unbeatable. I remember my blocks as a kids too and we loved to play with them. I love the natural blocks as well! If you are crafty they probably wouldn’t be too hard to make yourself! And I agree with you about Melissa and Doug! I am a huge fan of their toys. Very nice article, it is very useful for me as my baby is growing so I need to know what is best for him and toys are the most beautiful part of the job. I try to get him educational toys and these wooden blocks seem to be perfect for his creativity and imagination. So thank you very much for your article. I’m a single father of four and my youngest is just 18 months. I’ve been looking for a good set of blocks. Lego is too small for youngest so that’s out of the question. Not to mention their size makes it harder to clean up. You have some really cool looking blocks here. I think I will try and make my own log blocks and maybe purchase some of the translucent and mirror blocks. My kids are pretty hard on toys, do you think the translucent and mirror blocks will stand up to the abuse? Sounds like you have your hands full. Please let me know how your log blocks turn out if you end up making them yourself. The translucent (rainbow) blocks and the mirrored blocks should be ok as they are meant for kids. So it is expected that they won’t be played with gently and carefully all the time. I am sure your kids will love them! I’ve learned so much from your post! I don’t have any children yet! When I get some though I know that I will have a house full of blocks. Who would’ve known that wooden blocks have so many benefits and the best part about it is that the kids play with them and they have fun and learn at the same time and they don’t know that they are also learning(shhh. don’t tell them) it benefits us it benefits them. WOODEN BLOCKS ARE AWESOME! 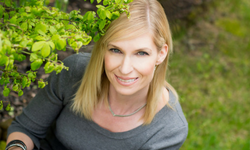 Thanks for taking the time to read the article and leave a comment Theresa! You are right, wooden blocks really are wonderful. Playing and learning can happen at the same time. 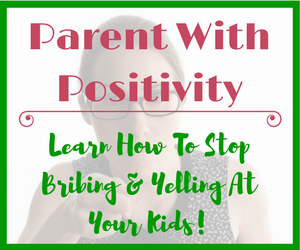 I have found that your site is so helpful for parents including me. 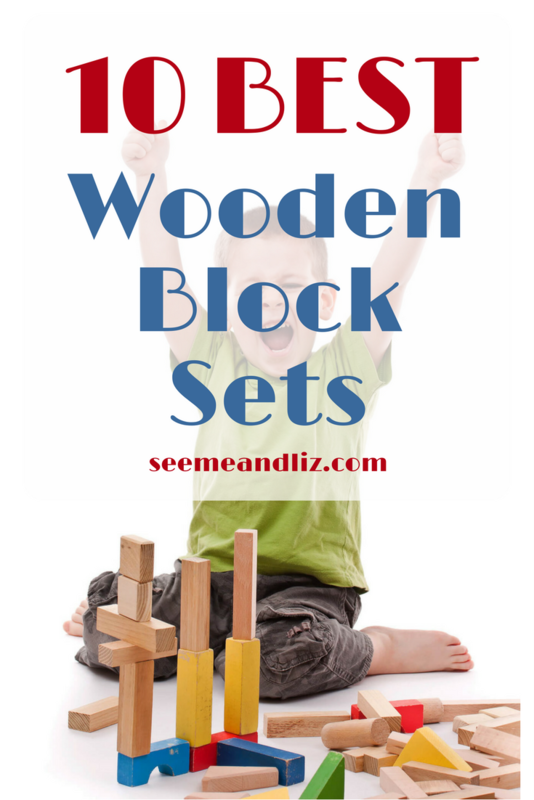 You have mentioned the benefits of wooden blocks for a kid. I am interested in finding one of wooden blocks you have shared for my daughter. She is 6 years old. Which one do you recommend for her? Thank you. Honestly, all of the wooden blocks I have mentioned would be great for a 6 year old. However, you asked for just one set. In that case I would suggest the rainbow blocks (because they can be used outside or on a window sill so you can talk about color mixing and light refraction) or the asymetric blocks. I love the asymetric blocks because they are so different from traditional blocks. However, they are also the most expensive.